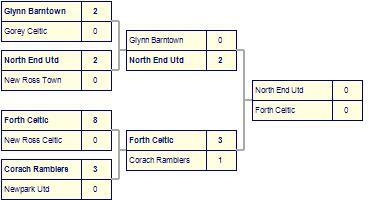 Corach Ramblers beaten by St Leonards. 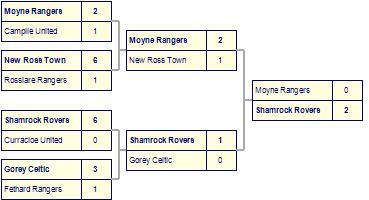 Moyne Rangers suffer defeat to Wexford Celtic Fc. 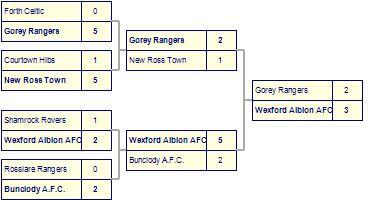 Wexford Albion AFC-2 suffer defeat to Gorey Celtic. Shamrock Rovers despatched by Wexford Albion AFC. 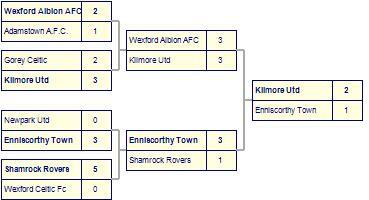 Wexford Albion AFC has yet to be beaten in this competition, having won 4 out of its last 5 games. Bree United are defeated by Duncannon AFC. St Josephs despatched by Fastnet Rovers. 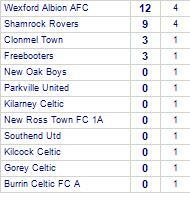 Tombrack Utd lose to New Ross Town. 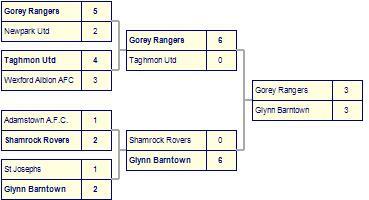 Corach Ramblers suffer defeat to Ballymurn Celtic. 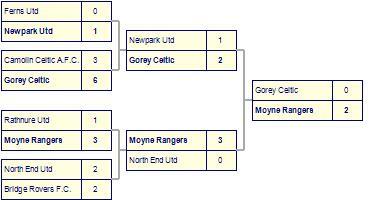 The u15 lads got life in the top division off to a flier with a strong performance against St Joseph's. It was a big day for these young men and they didn't disappoint. The game started at a slow enough pace with our lads controlling the tempo and a few half chances could have got them settled earlier. On 20 minutes though a Ricky Morrissey run and Riley Doran pass found new signing Brandon Tracey whose fine effort hit the bar. Minutes later though they weren't to be denied when Traceys cut back found another new signing Conor Mackey who slotted home to put us one up. A well deserved half time lead. The second half started much like the first ended with the lad dominating. Jack Fanning closed down the last defender and found himself one on one with the keeper but the keeper made a very good save to his right. Moments later though Fanning made up for the previous effort when he skipped past two defenders and finished with the outside of his foot to the bottom corner to make it two nil. Fine work between Michael Connors(another new signing) Fanning and Tracey set Mackey up for his second to end the contest. A very good team performance and a valuable three points for the u15 lads. Special mention to all the new lads in their first league game with the lads. Killian Whelan in the goal, Jack Corcoran, Michael Connors, Conor Mackey and Brandon Tracey all made positive starts. All lads made very strong contributions and we hope it will be a good season ahead.